I haven’t smelled the scent foxes use as an deterrent for Buffy and/or me. 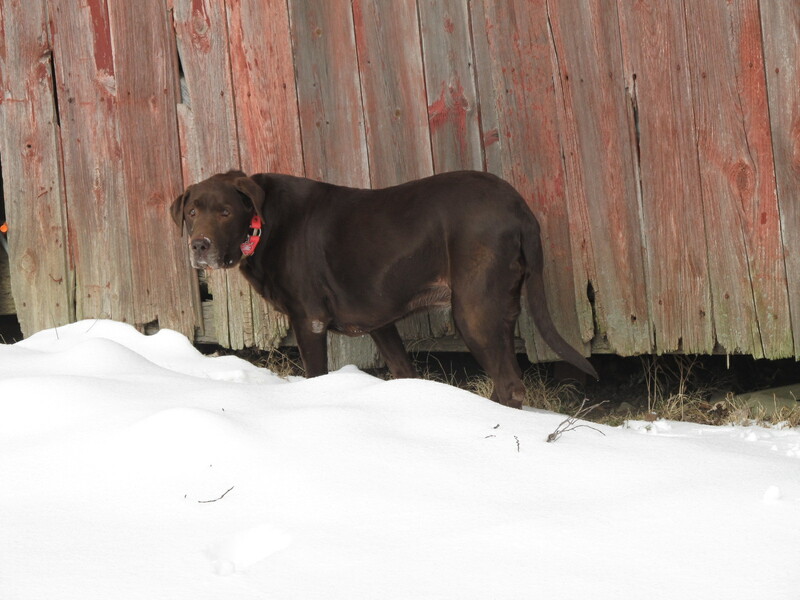 We went out before supper, walked around, even close to the barn, and no strong fox scent. These three pictures were taken last year. I’m hoping they return next month. They breed late January into early February. Gestation lasts 51 days. So, my fingers are crossed that they return before the young are born in late March or early April. There’s an old strip pit behind our house and it goes east for two miles or so. The road makes two right angle turns before it straightens out. There’s a house on the corner. Late last summer I would see the young foxes out playing when I was on my way to Ingram Hill. So, I figure they have a den back there too … and maybe that’s where they are now. The den that they rear the young in is usually deeper than the temporary retreats. So, I plan to keep my fingers crossed and keep a watch out for them. I will know they’re back if I see them or if I smell the strong scent they use as a deterrent to intruders. 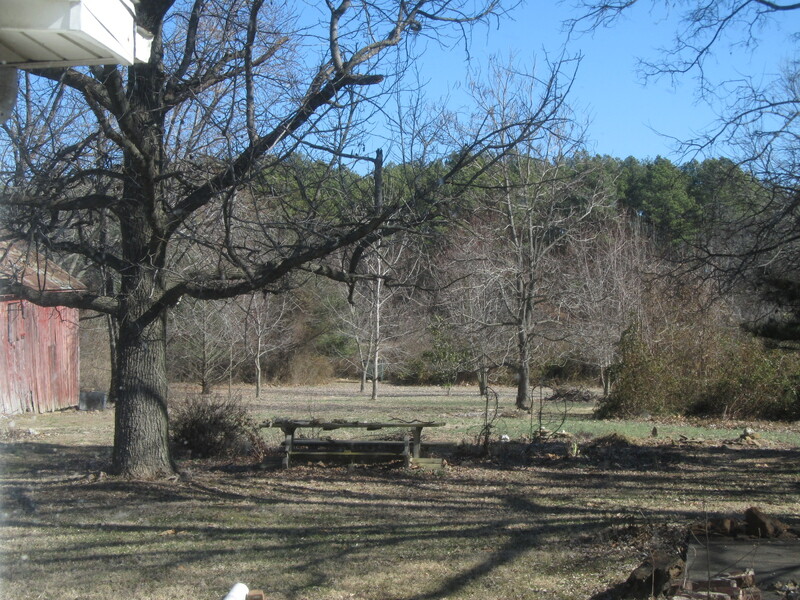 This picture shows the view of our backyard from the picture window beside my computer. 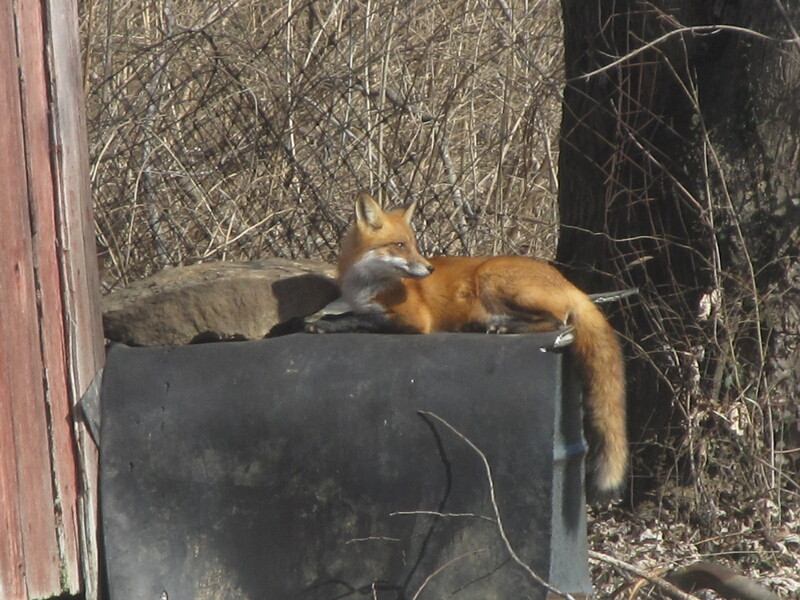 I walked into the computer room yesterday just as my husband said, “fox!” This is an earlier picture taken March 30, 2015. 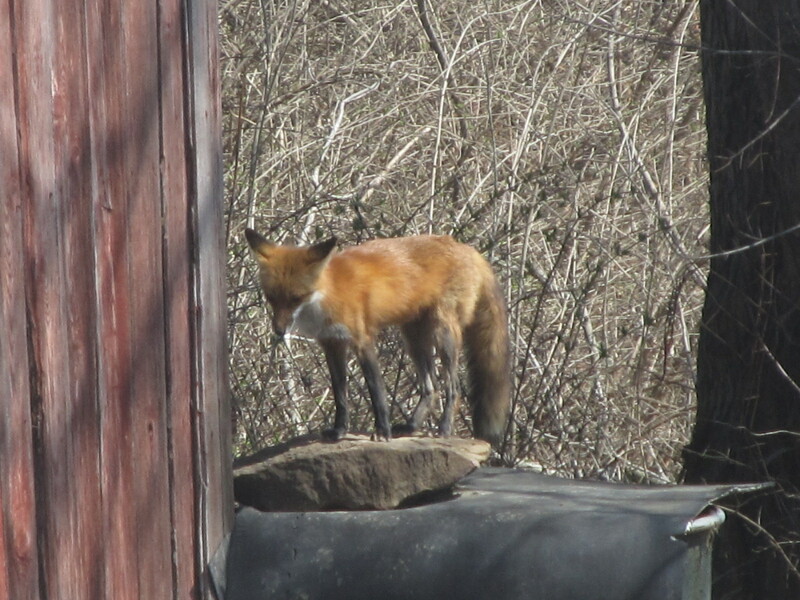 The fox looked around and then went under the barn. I didn’t have time to take a picture. 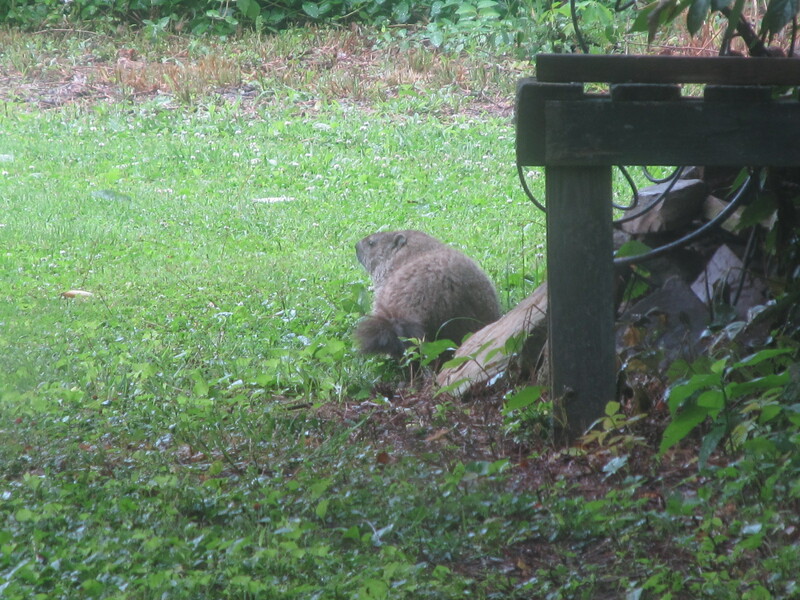 A groundhog family lived under the barn for most of the summer. 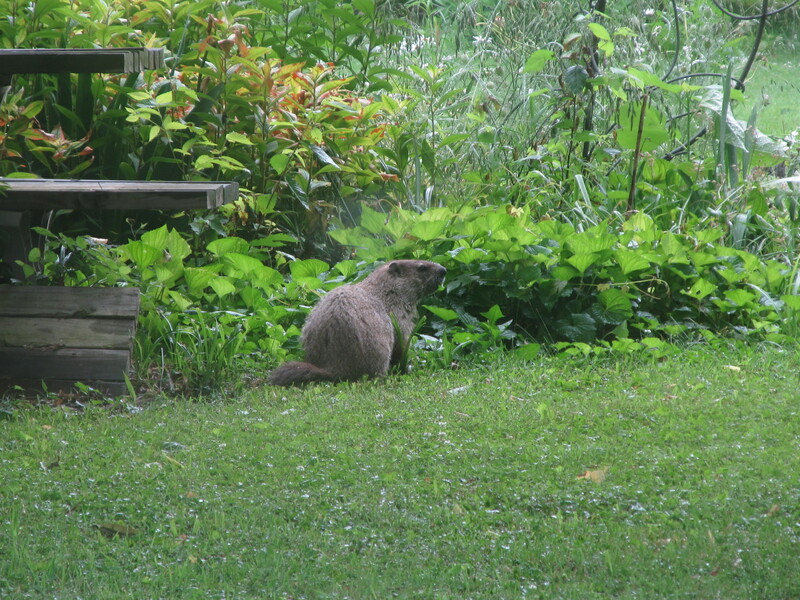 One, I suspect the female, stayed in the yard until the colder weather arrived. I guess I’ll have to be patient to see how this plays out. 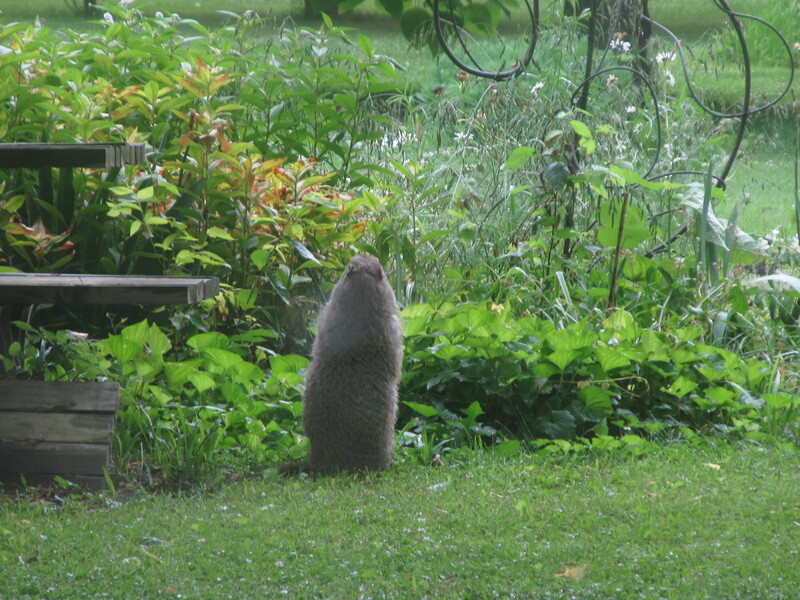 The groundhog family must feel right at home now. When they first moved under the barn, they stayed close to the den. 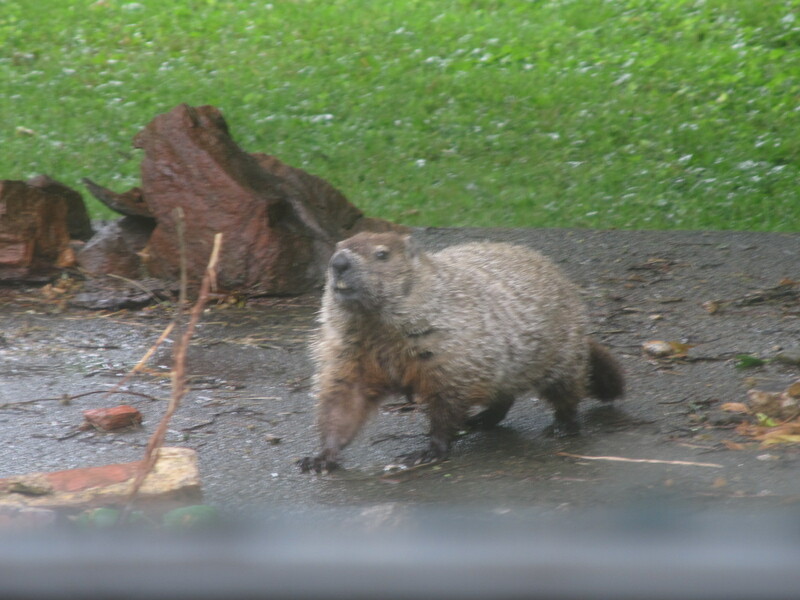 They got braver and spread around part of the back-back of our yard. The young ones generally stayed closer to the barn. Not any more. I looked out the picture window by my computer, and there was an adult … only it was only 20 yards from picture window where I sat. I thought it might possibly had been looking for an intruder in his territory. and rested before heading back toward the barn. 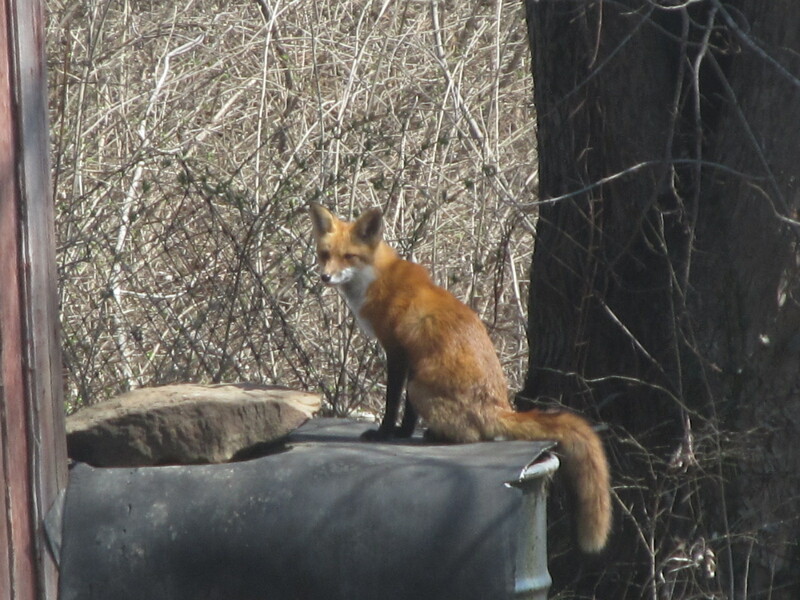 It had been so long since I’d seen the foxes that I thought they might have moved to another den. 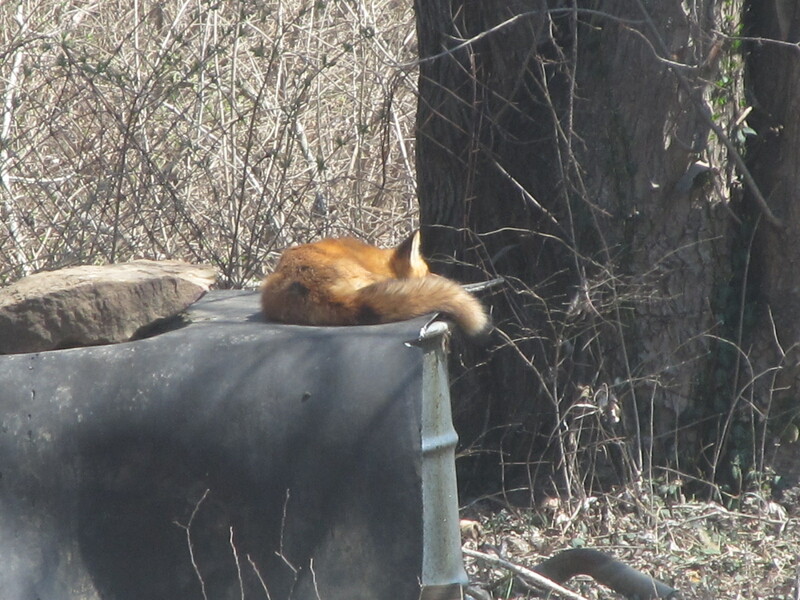 Then, when I least expected it, there lay the male fox napping. 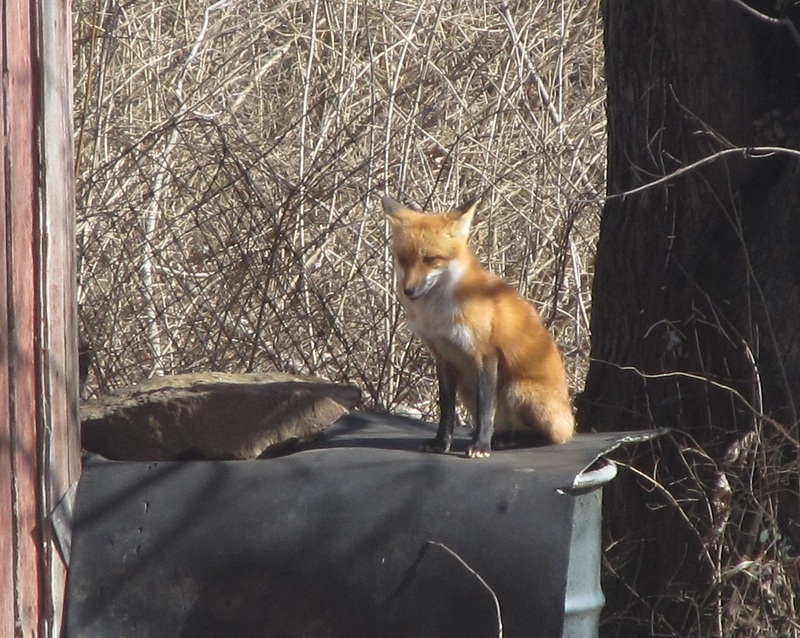 Red foxes breed late January into February in Illinois. Gestation is 51 days. Since we live in southern Illinois, I assume these are more likely to bred in January and give birth in late March. 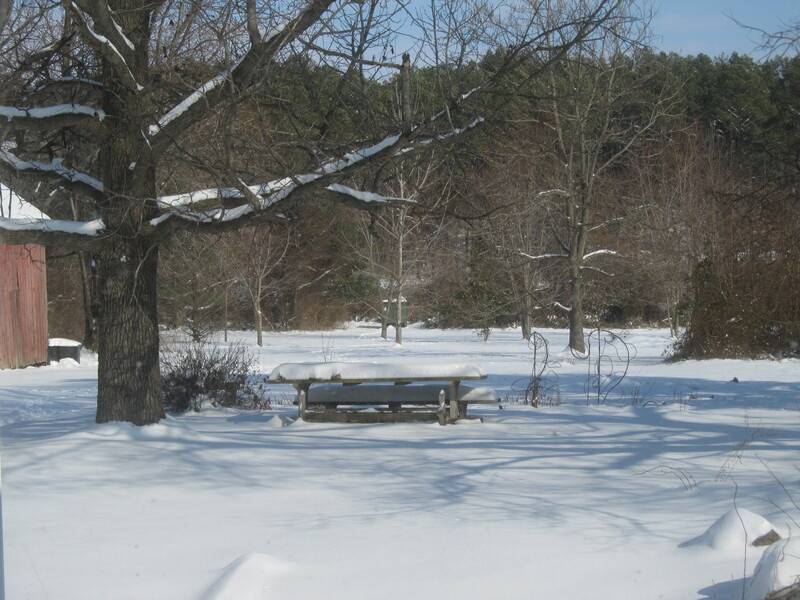 Eight inches of snow fell Monday into early Tuesday. 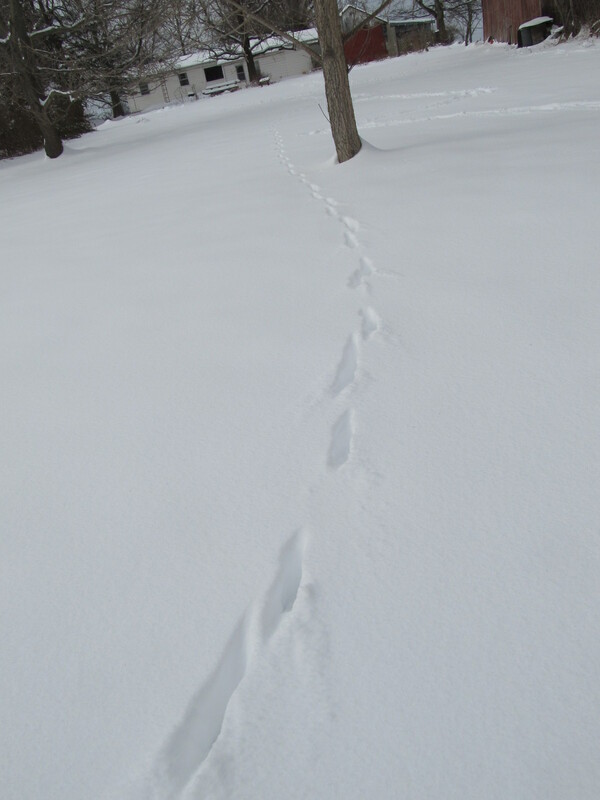 It was late morning before a fox left the den. 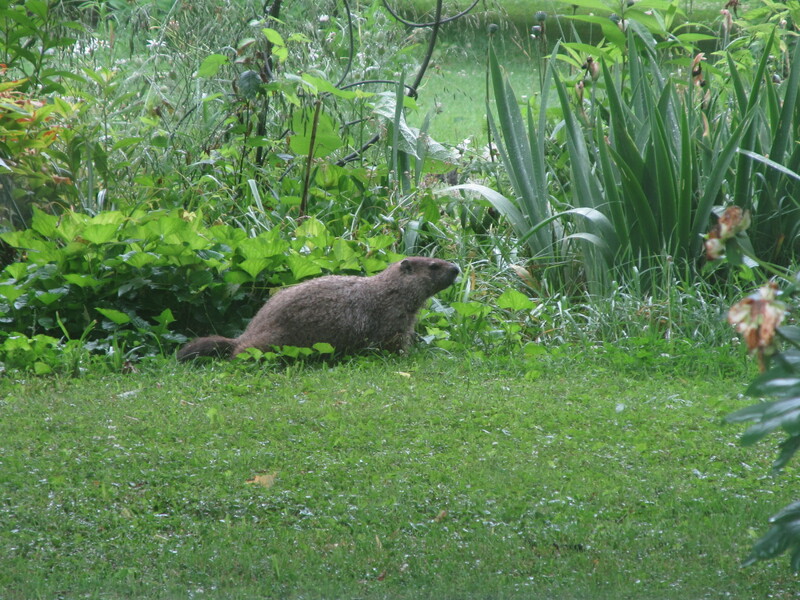 It headed toward the back corner of our yard where there’s an opening under our neighbor’s fence. The temperature was low and the wind strong. I didn’t linger over each shot … obviously. The glare was so bad I couldn’t see what was on the camera’s display. I just took several pictures, hoping for the best. Poor Buffy. 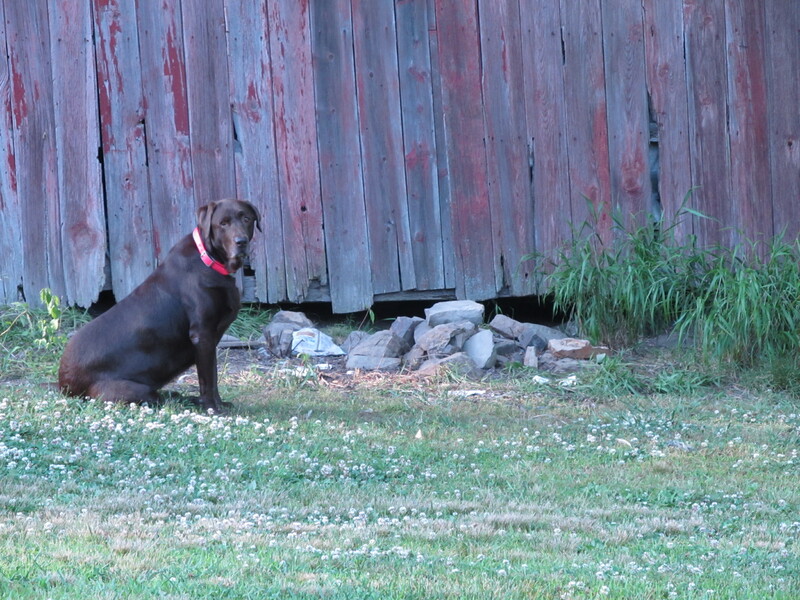 She couldn’t get under the barn where the intruders live. 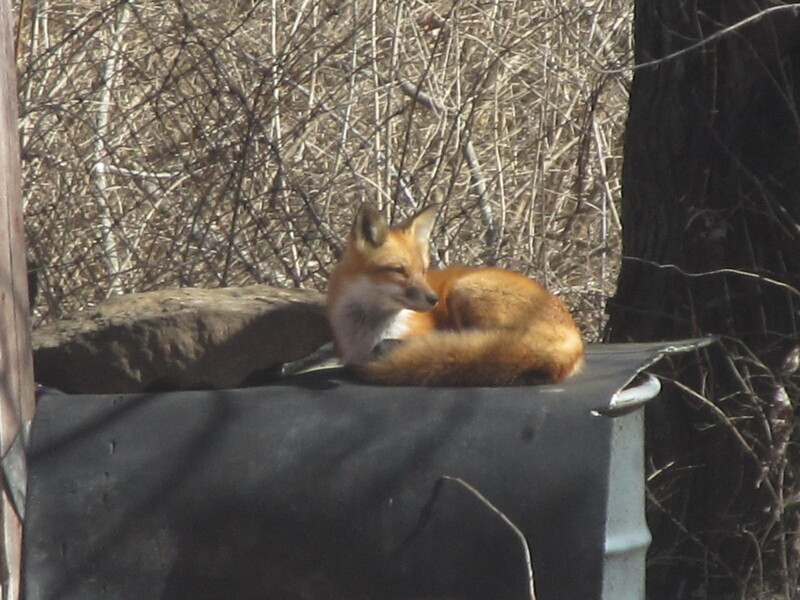 I added this picture so we could see the fox I didn’t see. … and I hope they’re here to stay, at least for a few months. 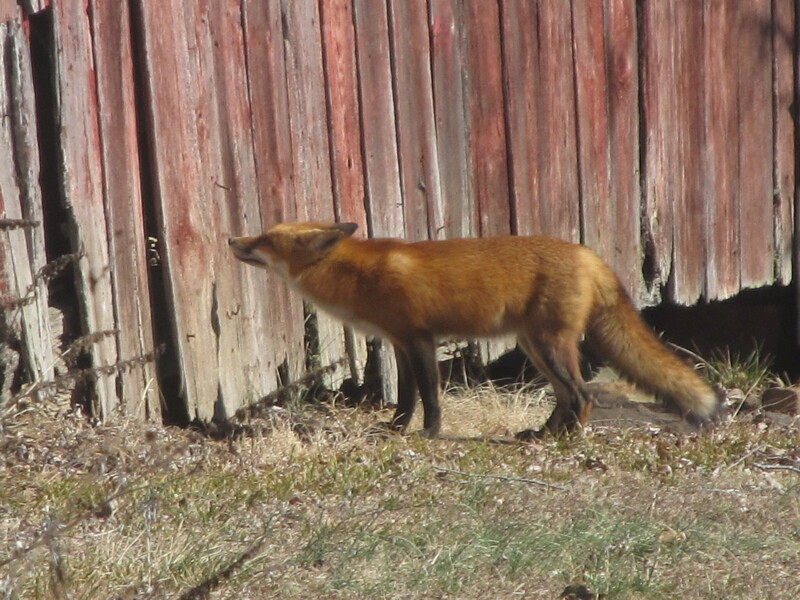 Buffy and I were in the backyard earlier this morning, and she didn’t act like the foxes were under the barn. There’s an old strip pit behind our house, and I suspect they have a den there too. 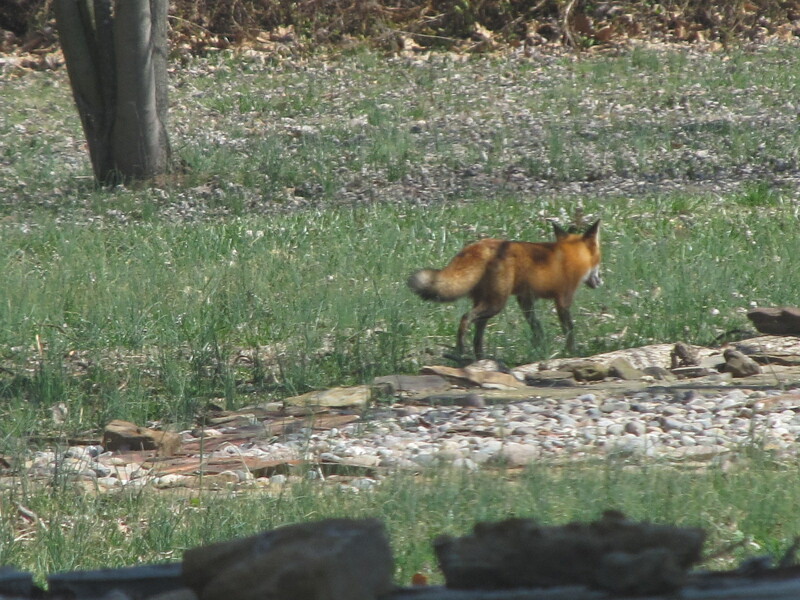 I take all the fox pictures from inside the house because of the layout of our backyard. 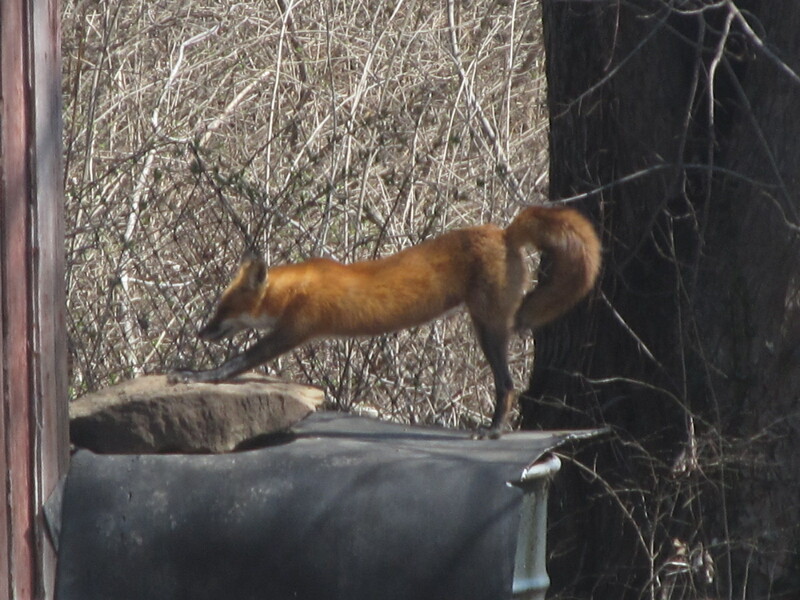 She got back up on their observation platform and napped before going back under the barn. I had a couple of things to do in the backyard this morning. As usual, Buffy went with me. I started toward the catalpa tree and came to an area that smelled strong like skunk, only not skunk. It was fox. 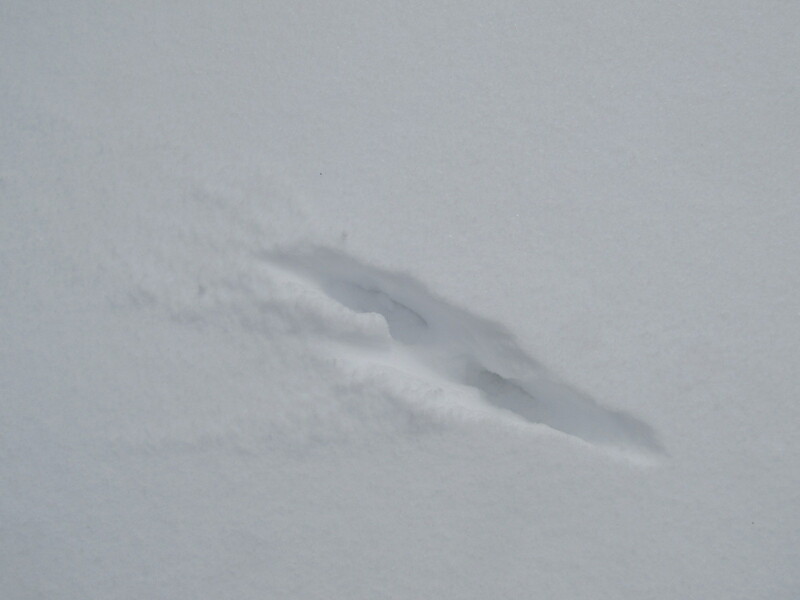 One had marked its territory in our backyard! Luckily, the smell finally dissipated. 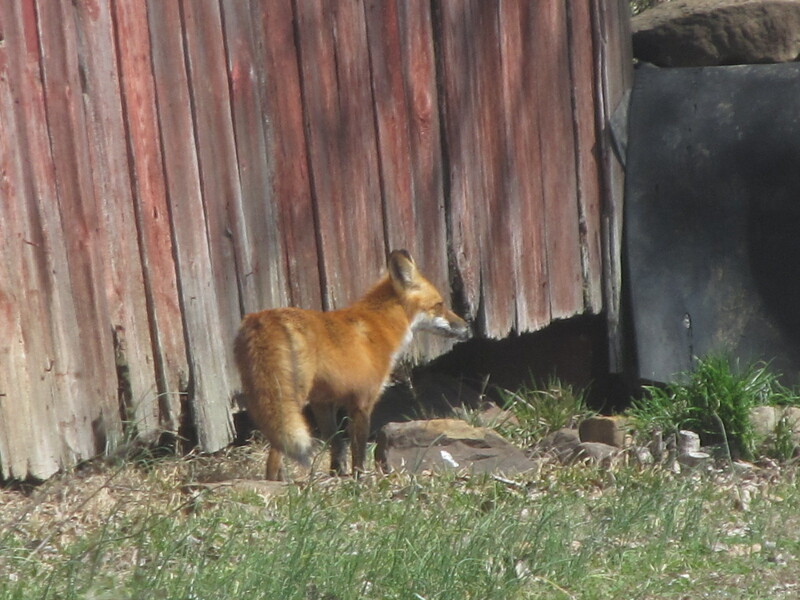 So, obviously, the foxes plan to den under the barn again. 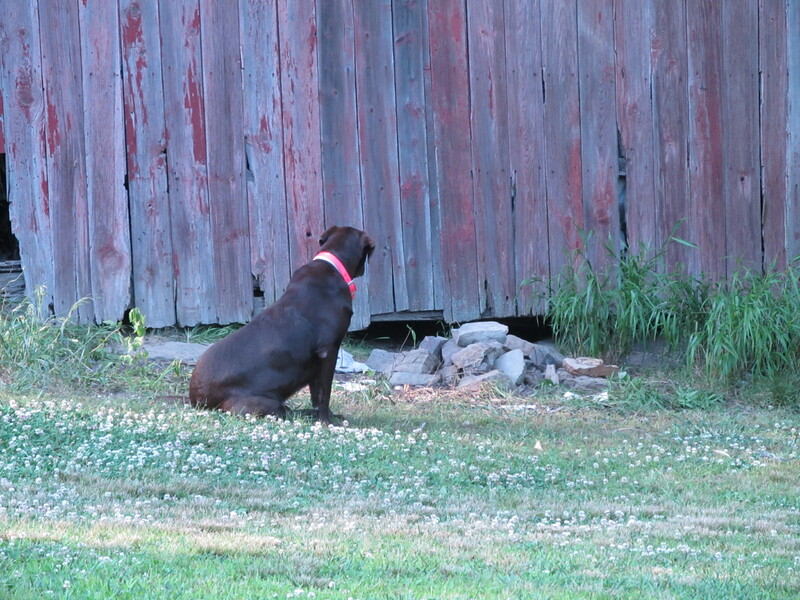 The above picture shows Buffy one evening two years ago, waiting for the foxes to appear. From that look on her face, it was obvious she wanted me to help her evict them. 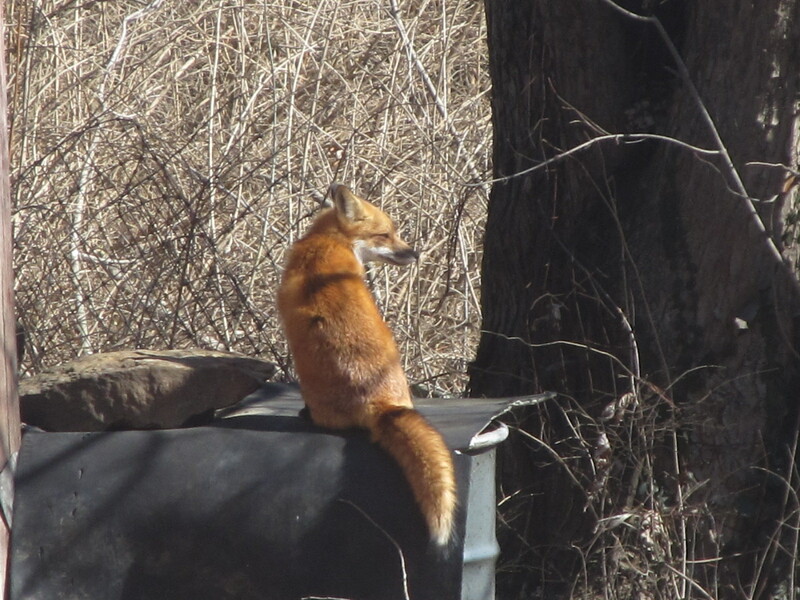 Red foxes breed late January into February in southern Illinois. Gestation period is 51 days. It’s looking good so far for the future possibility of little ones running around.